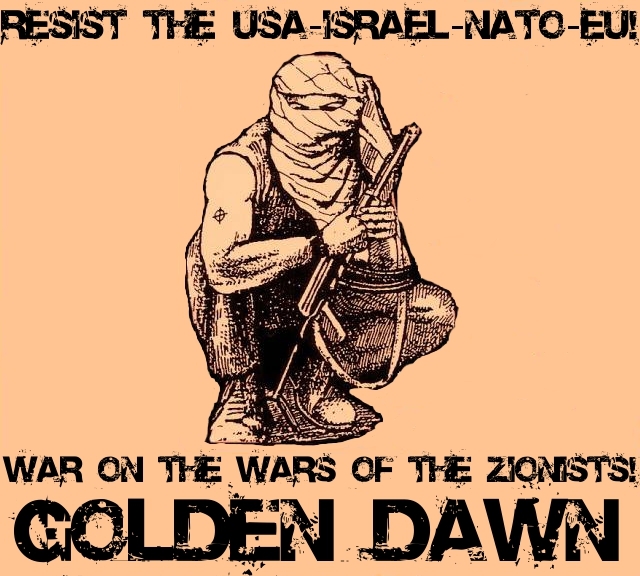 Golden Dawn - International Newsroom: Elections and terror. The candidate, a known lawyer of the city of Salonika and part of our "Legal Aid" Solidarity Program, was attacked while waiting for the bus, in front of the eyes of many passersby that immediately called the Police. The criminals abandoned our bloodied comrade in the street and took off like gentlemen with the Police not even bothering hunting them even if they were a couple of block away. The candidate in question is currently being transferred to the hospital, while the other lawyers of the Nationalist Lawyer Movement visited the local Police station to file the relevant suits. The attackers also stole our comrade's ID, personal documents, his PC and his wallet. The attack was recorded by nearby CCTV cameras. Those anarchists and the cops played their part in this charade that will keep intensifying the closer we get to the elections. The other parts are filled by the media, the government and the puppets of the "Justice" system. 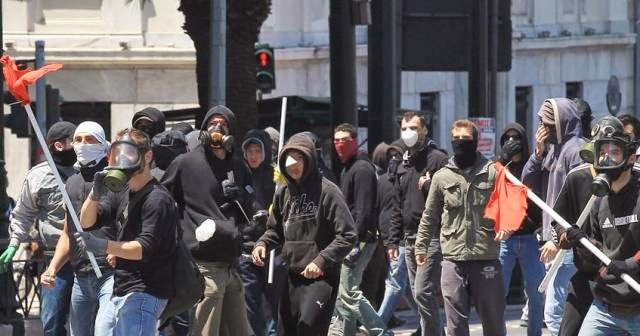 They are all part of a mechanism aimed to terrorize voters and candidates, a reaction of the System that wants to kill off the Revolution that we foster here in Greece. And the growth of this Revolution is evident. Al Jazeera predicts what we all know, that our supporters have increased and this will be proven on the day of the elections. Especially after the release of the scandalous Baltakos video that revealed how the top prosecutors were following orders by cabinet members, many Greeks decided to support the only revolutionary party in Greece that has it's leader imprisoned without a trial and it's funding suspended for political reasons. This is not news for the System, and during the course of the past week we saw unbelievable things thanks to the aforementioned actors of the charade. 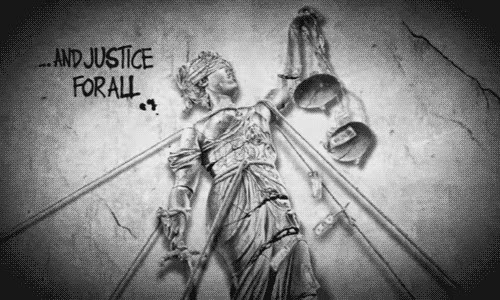 In a continuation of the government's involvement with the Justice system, interrogators of the High Court Ioanna Klapa and Maria Dimitrakopoulou sent an open letter to the president of the Parliament, requesting him to lift the parliamentary immunity of ALL our MPs, as soon as possible, before the elections. Among their cheap excuses, the interrogators say they are afraid that the Golden Dawners will be released from prison before the trials start. Which raises many questions because there are still 12 months left before the 18-month holding period (the maximum time a citizen can be jailed without facing trial) is over. You see, every 6 months a council decides whether our comrades will be released. 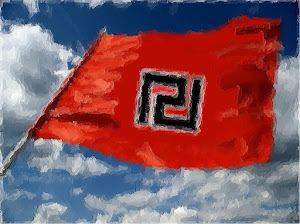 By asking the Parliament to lift Golden Dawn's parliamentary immunity, they seem to have foresaw the decision of the aforementioned council. We should note that interrogator Ioanna Klapa is the spouse of Panagiotis Klapas, leading figure and founding member of the "Democratic Left" party. Democratic Left was a part of the tripartite government and they often express their anti-GD hate. 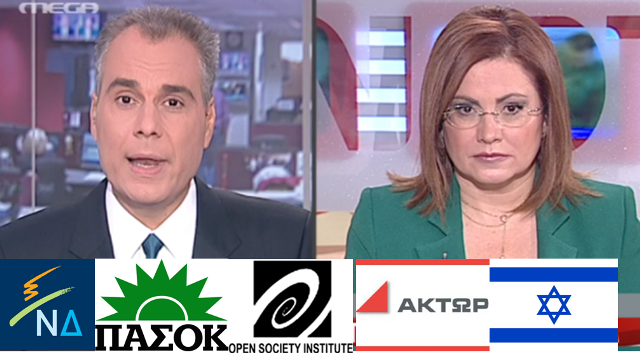 In other words, what Ioanna Mandrou wants to say but instead skillfully whispers is that the result of the European elections, that will be a triumph for Golden Dawn, will completely change our leverage against the political persecution case. The interrogators won't be able to do their dirty jobs because their employers will stop covering them, because the will of the People will show no mercy for the conspirators! The MSM picked up from here. The "Mega" TV channel, after attacking our Easter food distribution calling it, as always, a "detestable soup kitchen of hate", "informed" their audience that Golden Dawn MPs attacked the judicial system again! During yet another of their shows, honoring their xenophobic and racist tradition, Golden Dawn MPs Ilias Kasidiaris and Ilias Panagiotaros unleashed a new attack against the two interrogators of the High Court, Klapa and Dimitrakopoulou. Let's hear what they said in their new provocative statements (referring to what was written above). The particular TV channel completely surprised us (not) when one of their major reporters, Maria Spiraki, announced that she will participate in the European elections. Even though she was a socialist (PASOK) syndicalist, she will participate with New Democracy, the conservative party. As you may have guessed, she daily advocates the ban of Golden Dawn from the elections. Which is to say that this TV channel is now officially the mouthpiece of an oligarchic elite. Every time we talk about judges, journalists, interrogators, politicians or anarchists, we talk pretty much about the same thing. the System. 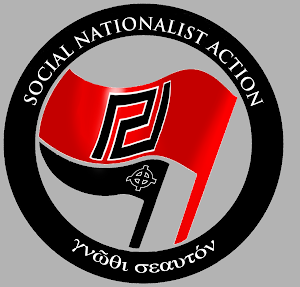 Every agent of this System works together against their common enemy, Golden Dawn. 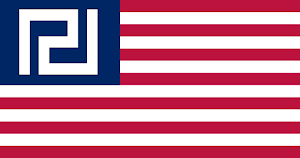 From mugging and threatening to kill our candidates and voters to declaring to the world that we are the essence of evil, this System will stop at nothing to see us gone. Let them know that we have the same feelings for them. And the results of the coming elections will bring us one step closer to fulfilling this goal. Time to take up arm's and put a few a these dog's down...fight fire with fire ... a small, but dedicated hit squad is now regrettably needed, the heads of the current corrupt government need to be removed sending a clear message that the Greek people have had enough. It`s NOT time to take up arms. That is precisely what our enemies want. They want us to lose our discipline, and become "criminal". We must stand disciplined and act with dignity. They know they can`t beat us with argument that´s why they uses lies against us, and also tries to ban us.